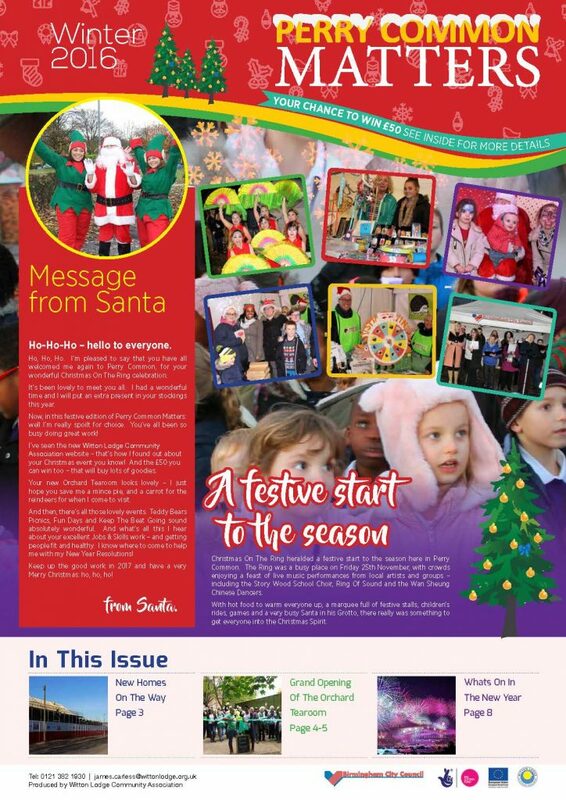 If you live in Perry Common, you should have received a copy of the latest edition of the Perry Common Matters Newsletter. As always, there’s been lots going on locally and as we’re at the start of a brand new year, there’s lots coming up – with a wide variety of clubs and activities throughout the week and some interesting events for all the family. In this edition, there’s also YOUR CHANCE TO WIN £50, by simply filling in and returning the form, telling us what you think about the newsletter. We’re happy for you to just scan it in and send it back via email. And, there’s a 15% Discount for everyone with a voucher, for booking Perry Common Community Hall and our smaller venues: an ideal venue for your children’s party, social gathering, meeting or whatever event you have planned. Take a look inside and see what’s been going on!